While most of us are still caught up in Tata’s latest offering Harrier, Tata is testing another product to heat up the competition in the premium hatchback segment. Tata Aquila (45X) was first displayed in the Auto Expo 2018. It seems that Tata is close to making the 45X production ready. The testing of the 45X has been going on from a while, but it stayed highly camouflaged. 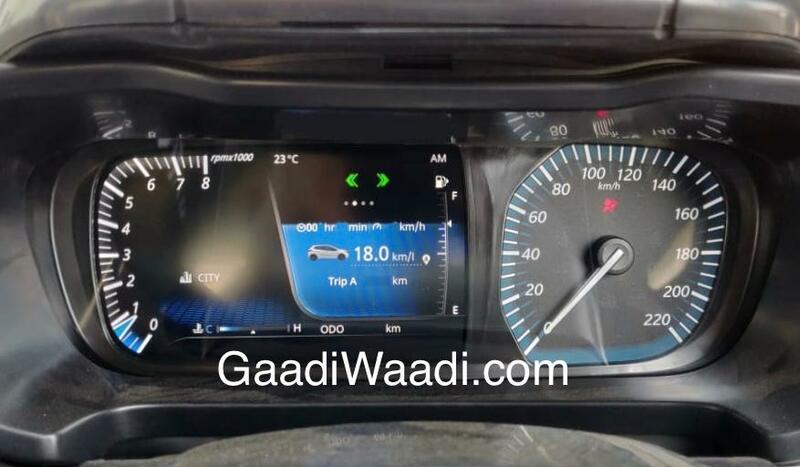 Now finally we have some clear picture of the car Instrument cluster. Quite like the Harrier, the combo of Analog Speedometer paired with Digital tachometer looks well. A 7-inch screen does the job. This looks to be the cluster of petrol variant with revs numbers up to 8000rpm. The screen also shows the navigation directions so you don’t have to look in the Infotainment unit. It also displays the current track playing and could also display driving modes if Tata offers them. 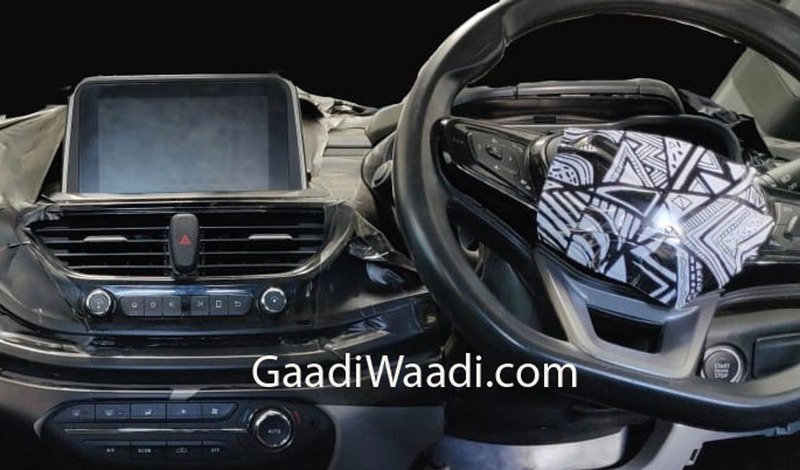 This other spy pic shows the floating type touchscreen on the centre console. This system gets Apple CarPlay and Android Auto. We can also see steering mounted control and a start-stop button. Steering wheel gets thumb contours and a flat bottom. Powering the 45X can be a 1.2-litre turbocharged petrol mill from Tata. Diesel version can get the 1.5-litre turbo diesel engine from the Nexon. Tata will offer both manual and automatic transmissions. As Tata is making one of the safest cars in India, expect Tata Aquila to get 4 or 6 airbags with ABS and other features. It can also get driving modes same as Nexon to meet different driving conditions. Tata Aquila (45X) should be launched later this year. When launched it will rival with Maruti Baleno and Hyundai Elite i20. We expect Tata to price it aggressively to take on the rivals.